However, many Americans don’t necessarily know what puts them at risk of falling. Predicting and preventing falls is one of the key areas physical therapists consider when they perform annual physical therapy exam, says physical therapist and geriatric certified specialist Paul Gardner, Administrator of Community Rehab for Hillcrest Rehab Services, serving the greater Omaha area. That’s the goal behind Hillcrest Physical Therapy’s new Annual Physical Therapy Exam program. Launched in August, the exams are based on a Moving Target Screen developed by Dr. Carole Lewis, a national leader in physical therapy and gerontology. The goals are to establish a baseline for fitness, spot problems as they emerge and suggest exercise programs to address the problem areas. The exam features tests in five core areas: balance, posture, strength, flexibility and endurance. For example, one test measures velocity, which is a key predictor of fall risk. If a person is walking at a slower speed, he or she is moving less efficiently and taking shorter steps. Shorter steps translate into the risk of stumbling, stumbling leads to a falls, and falls lead to fractures, which, in turn, often lead to hospitalization. Once an older person is hospitalized, the onset of decline happens more quickly and more severely. Exams also include discussions about ways to manage environments to prevent falls (i.e., remove rugs or install handrails), or to encourage the use of devices (i.e., a cane or walker) to help a person steady themselves. 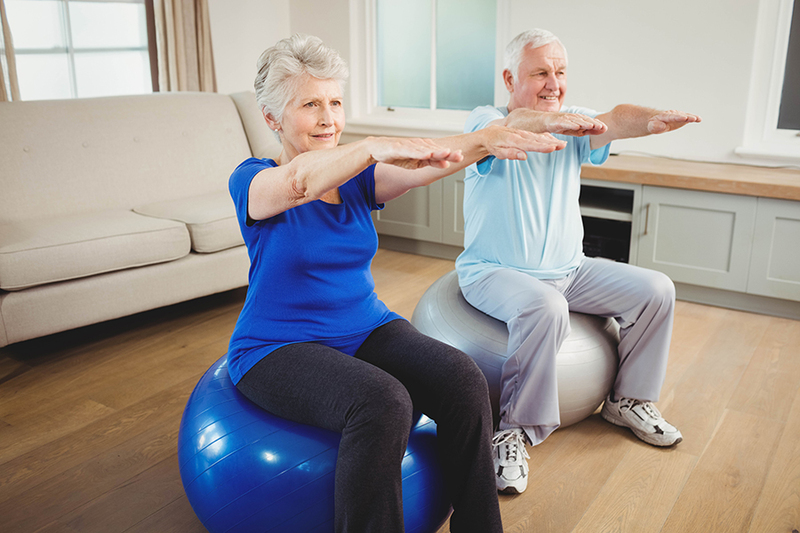 At the same time, the physical therapist will recommend exercises that will help patients address their bodies’ weakness and better incorporate fitness into their routine. Following an annual physical therapy exam, all patients will walk away with a general idea of their physical fitness, specific exercises to strengthen areas of weakness based on their exam results and (if needed) recommendation to work with a physical therapist, physician or specialist in order to maintain an optimal quality of life. Perhaps the most important takeaway, says Gardner, is the understanding that as people age, the things they take for granted – things like balance, posture, strength, flexibility and endurance – often weaken. “Being aware means being prepared to take steps to prevent accidents like a fall,” he said. Learn more about the value of an annual physical therapy exam and how it can help you live your best life by calling the Hillcrest Physical Therapy team at (402) 682-4210 or visiting hillcresthealth.com.